Unione Sportiva Città di Palermo S.p.A.
Unione Sportiva Città di Palermo, commonly referred to as Palermo (Italian pronunciation: [tʃit'ta di paˈlɛrmo]), is an Italian football club based in Palermo, Sicily, playing in Serie B. Formed in 1900 as Anglo Palermitan Athletic and Football Club, the club had various names before assuming its current form in 1987, and is the top-ranked football club from the island of Sicily. During its history, Palermo has played in all the professional ranks of Italy, and took part in several Serie A seasons during the 1950s, 1960s and early 1970s, also finishing as Coppa Italia runners-up twice during that period. Following its return to Serie A in 2004, the club became one of the most prominent in Italy, providing four players to the Italian team that won the 2006 FIFA World Cup. It gained a UEFA Cup place for three consecutive seasons, narrowly missing UEFA Champions League qualification in 2007 and 2010, and losing its third Coppa Italia final in 2011. The official team colours are pink and black. The colours give rise to the team's nickname rosanero; another less common nickname is aquile, referring to the eagle on both the official club logo and the city of Palermo's coat of arms. US Città di Palermo plays its home games at Stadio Renzo Barbera (formerly known as La Favorita), which has had a capacity of 36,349 people since 2007. It was originally built in 1932, and was renovated in the late 1980s. The club was founded in November 1900. It is the oldest football team in Sicily, the second in South Italy after Lazio, which was founded in January 1900. There is some debate about the exact date the club was founded. Some authorities think it may have been as early as 1898 due to the existence of papers addressed to Joseph Whitaker, English consul in Palermo and originally believed to be first club president, about a Palermitan football team founded in the month of April of that year. Actually, there is a probable misinterpretation of some sources: in April 1897, the future founders of Palemo Calcio founded the association Sport Club. The most common and officially stated foundation date is 1 November 1900, as the Anglo Palermitan Athletic and Football Club. The club is thought to have been founded by Ignazio Majo Pagano, a young Palermitan colleague of Whitaker who had discovered football while at college in London in the UK, where the modern game of football originated. The initial staff comprised three Englishmen and nine natives of Palermo, with Whitaker as honorary chairman, Edward De Garston as inaugural president and with red and blue as the original team colours. The first recorded football match, played by the team on 30 December 1900, ended in a 5–0 defeat to an unidentified amateur English team. The first official match, played on 18 April 1901 against Messina Football Club, ended in a 3–2 win to the Palermitan side. In 1907, the club changed its name to Palermo Foot-Ball Club, and the team colours were changed to the current pink and black. From 1908 until the final event in 1914, Palermo was featured in the Lipton Challenge Cup, organised by Scottish businessman Sir Thomas Lipton. The competition saw them face off against Naples; Palermo won the competition three times, including a 6–0 victory in 1912. After a gap during World War I, the club was refounded in 1919 as Unione Sportiva Palermo, by a committee of young university students and sportsmen. During the early 1920s, the club mainly competed in the Campionato Lega Sud, a football league in Southern Italy, reaching the semi-finals in 1924 before being knocked out by Audace Taranto, Alba Roma and Internaples. The club was dissolved in 1927 due to financial problems, but was reformed one year later following a merger with Vigor Palermo under the name Palermo FootBall Club. Originally admitted to Prima Divisione (First Division), the equivalent of today's Serie C1, the team was promoted into Serie B in 1930 and finally reached Serie A in 1932. From its debut season in Italy's top division, Palermo relocated to a new home, the Stadio Littorio (Lictorian Stadium) in the Favorita neighbourhood, today known as Stadio Renzo Barbera. The club played Serie A until 1936, when they were relegated to Serie B and first played Catania in the Sicilian derby. In 1936, Palermo was forced by the fascist regime to change its strip to yellow and red, after the official colours of the local municipality. Meanwhile, economic difficulties arose, and in 1940 they were expelled by the Italian Football Federation because of financial problems. A merger with Unione Sportiva Juventina Palermo brought the foundation of Unione Sportiva Palermo-Juventina, which joined Serie C in 1941 and Serie B in 1942. The club could not finish the 1942–43 season due to the arrival of WWII. At the same time the pink-and-black colors were chosen because Sicily became a "war zone". After the conflict, the club changed its name to US Palermo. After World War II, the team returned to Serie A by winning the Serie B championship of 1947–48. The new Palermo squad featured players such as Czechoslovakian legend Čestmír Vycpálek who signed from Juventus alongside Conti, Carmelo Di Bella and Pavesi. Palermo played Serie A until they were relegated in 1954. Massive changes in the board, as well as the manager's job and the squad, proved successful and the club returned to Serie A in 1956. Palermo became a "yo-yo club", bouncing up and down between the top two Italian leagues. Several stars played for Palermo during this period, such as Argentine striker Santiago Vernazza (51 goals in 115 games with the Rosanero), goalkeepers Roberto Anzolin and Carlo Mattrel, Giuseppe Furino and Franco Causio. Palermo marked its best campaign in 1961–62 season, finishing in eighth place in Serie A. In 1963, however, they were relegated to Serie B, where they played for five seasons. Palermo played again in Serie A between 1968 and 1970. In 1970, Renzo Barbera took over the club as the new chairman. After 1973, Palermo FBC remained firmly rooted in Serie B. Despite this, Palermo reached two Italian Cup finals, both of which they narrowly lost: in 1974 to Bologna on penalty shoot-outs, and in 1979 to Juventus after extra time. Barbera left the club in 1980 and Palermo were relegated to Serie C1 four years later. The 1985–86 season, however, which ended in the summer was the last for Palermo FBC as having just saved themselves from relegation, the club was expelled by the football federation due to financial problems. In the summer of 1987, after a year without professional football in Palermo, the club was re-founded bearing its current name, and began to play in Serie C2, which it promptly won. In the 1990s, Palermo played between Serie B and Serie C1 with a few highs, such as its 1995–96 Serie B and Coppa Italia campaign, the latter ending in the quarter-finals, and a number of lows such as the 1998 relegation to Serie C2 after defeat in the play-offs to Battipagliese, later revoked by the federation to fill a vacant league slot. In March 2000, Roma chairman Franco Sensi led a holding company to purchase Palermo and Sergio D'Antoni became the president of Palermo and Palermo were promoted to Serie B one year later after a dramatic final week of the season, with Palermo coming back from behind to take first place from league-toppers Sicilian rivals Messina. The first comeback season in the Serie B, with Bortolo Mutti as head coach, was an eventless one, with Palermo ending in a mid-table placement. In the summer of 2002, Friulian businessman and Venezia owner Maurizio Zamparini acquired the club from Franco Sensi in a €15 million bid, with the clear intention to bring Palermo back to Serie A and establishing the club as a Serie A regular with aims of participations to European competitions. Palermo failed in its first attempt to reach the Serie A in 2002–03 on the final week of the season, but later managed to achieve it after a hard but successful 2003–04 campaign which saw Palermo crowned as Serie B champions and promoted to Serie A after 31 years, under head coach Francesco Guidolin, who was hired in January 2004 as replacement for dismissed Silvio Baldini. The 2004–05 season, the first in Serie A for the Palermo club since 1973, ended with an excellent sixth place, securing qualification for the 2005–06 UEFA Cup for the first time in its history. 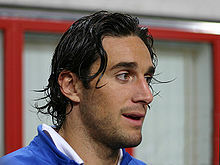 Luca Toni broke the Palermo Serie A scoring record by notching up 20 league goals. Guidolin left in 2005 and was replaced by Luigi Delneri, who did not manage to repeat his predecessor's successes and was later replaced by Giuseppe Papadopulo. Despite an unimpressive eighth place in the Serie A table, Palermo reached the last 16 in the UEFA Cup as well as the Coppa Italia semi-finals. Guidolin's return was followed by Palermo being admitted to play UEFA Cup again due to the 2006 Serie A scandal and Palermo players Andrea Barzagli, Cristian Zaccardo, Simone Barone and Fabio Grosso being crowned 2006 World Cup winners. A number of impressive signings were made to establish an ambitious team, and a good beginning in the 2006–07 campaign appeared initially to confirm this. An 11-game winless streak, however, forced Palermo to fall down from third to seventh place, ending the season in fifth place and ensuring another UEFA Cup qualification. For the following 2007–08 season, emerging coach Stefano Colantuono was appointed at Guidolin's place. A number of unimpressive performances left the Rosanero in eighth place, seven points shy of the fourth UEFA Champions League spot, and a crushing 5–0 away defeat to Juventus led Zamparini to sack Colantuono on 26 November 2007 and call in Guidolin for a fourth spell as Palermo boss. On 24 March 2008, Guidolin was sacked and left the club for the fourth time with his predecessor Stefano Colantuono taking charge for the second time in the season. Colantuono was confirmed as Palermo boss for the 2008–09 season. During the summer transfer market, club stars like Amauri, Andrea Barzagli and Cristian Zaccardo were sold. New signings included former and current Italian internationals Marco Amelia, Fabio Liverani and Antonio Nocerino. The Rosanero started their season with a disappointing 2–1 home loss to Lega Pro Prima Divisione side Ravenna in the Third Round of the Coppa Italia. After just one game from the new campaign, a 3–1 loss to Udinese, Zamparini sacked Colantuono, and the head coach role was given to Davide Ballardini. With Ballardini as head coach, Palermo ended the season with a respectable eighth place, and also won its first Campionato Nazionale Primavera national title, under the guidance of youth coach Rosario Pergolizzi. After the end of the season, Palermo dismissed Ballardini from the coaching post following disagreements with the board, and replaced him with Walter Zenga, whose appointment from Sicilian arch-rivals Catania was greeted with surprise and dismay from supporters of both parties. Zenga's reign, however, lasted only 13 games, as he was dismissed on 23 November 2009 due to poor performances, ironically after a 1–1 home tie to Sicilian rivals and Zenga's former team, Catania, with former Lazio boss Delio Rossi being appointed at his place. Under the tutelage of Delio Rossi, results dramatically improved, and Palermo established a record of seven consecutive home wins, and also achieved prestigious results such as two 2–0 wins against Italian giants Milan and Juventus. The latter win, achieved on February, led Palermo to climb over the Bianconeri in fourth place, establishing the Rosanero as serious contenders for a Champions League spot, which they ultimately lost to Sampdoria by only one point. Such season also launched new emerging stars such as midfielder Javier Pastore and goalkeeper Salvatore Sirigu, who went on to become integral part of their respective international teams. The new season started with Delio Rossi still in charge of the club: Simon Kjær and Edinson Cavani left the club, and a few more promising youngsters were signed (most notably Argentine Ezequiel Muñoz and the Slovene duo of Armin Bačinović and Josip Iličić), plus more experienced acquisitions such as forwards Massimo Maccarone and Mauricio Pinilla. The 2010–11 season also marked Palermo's return into continental football in the form of the UEFA Europa League. Palermo reached their third Coppa Italia finals after defeating Milan 4–3 on aggregate on 10 May 2011, losing 3–1 to Internazionale in the final. For the 2011–12 season, Delio Rossi was replaced by former Chievo boss Stefano Pioli, who was, however, sacked before the Serie A kickoff after being eliminated by Swiss minnows FC Thun in the Europa League third preliminary round. In a somewhat surprise move, Pioli was replaced by under-19 team coach Devis Mangia, with no managerial experience other than at youth team and minor league level; despite that, Mangia turned Palermo fortunes by leading the Rosanero in fifth place thanks to an impressive string of six consecutive home wins, thus deserving a long-term deal at the club. A string of poor results, however, led Palermo to three consecutive defeats, including elimination from the Coppa Italia and a disappointing loss in the Sicilian derby, persuading Zamparini to replace Mangia with the more experienced Bortolo Mutti. Palermo arrived 16th in that season. For the 2012–13 season, Zamparini came with another staff revolution, appointing Giorgio Perinetti as the new director of football and Giuseppe Sannino as the manager, both coming from Siena. Significant sales included Federico Balzaretti and Giulio Migliaccio, who left the Rosanero as part of a complete restructuring. The season started in unfashionable manner, leading to Gian Piero Gasperini and Pietro Lo Monaco replacing Sannino and Perinetti. As Palermo descended into the relegation zone, Alberto Malesani replaced Gasperini for three games, Perinetti returned in place for Lo Monaco, and ultimately Sannino was re-hired to replace Gasperini. Despite a slight increase in results, Palermo ended its season in 18th place, being thus relegated to Serie B after nine consecutive seasons in the top flight. For the new Serie B campaign, Zamparini appointed former Milan and Italy international star Gennaro Gattuso as the new manager, despite him having little prior managerial experience; he was sacked in September 2013, the 28th sacked manager in 11 years. Fortune was reversed rather rapidly, however, as Palermo regained promotion back to Serie A for the 2014–15 season thanks to a 1–0 victory over Novara on 3 May 2014 under the guidance of Giuseppe Iachini, who took the reins over after Gattuso was sacked due to poor results, with the Rosanero responding with a record-breaking Serie B season ended with 86 points, one more than previous record holders Juventus, Chievo and Sassuolo (all of them in the 22-team Serie B format). Due to his successful results, Palermo confirmed Iachini as head coach for the 2014–15 Serie A season, and agreed a contract extension until June 2016 with him. A new director of football, Franco Ceravolo (formerly a scout for Juventus), was instead named in place of Perinetti, but was removed (with Iachini being instead confirmed) after a dismal season start led Zamparini to intervene in order to turn the team's fortunes. The non-playing staff changes at Palermo turned out to be ultimately successful, with Palermo winning many games afterwards and entering the fight for a UEFA Europa League spot thanks to the all-Argentine striking force of Paulo Dybala and Franco Vázquez. In 2015–16 season, Palermo started their season without Dybala after the youngster moved to Juventus; the Rosanero therefore relied on senior striker Alberto Gilardino to play as a partner of Vázquez. On 10 November 2015, coach Giuseppe Iachini was sacked due to disappointing results and replaced by Davide Ballardini. Ballardini only lasted for 7 matches with Palermo before fired by Zamparini after spectacularly falling out with Palermo's players. Palermo captain Stefano Sorrentino reported that during 1–0 victory against Hellas Verona, the coach did not speak to Palermo players neither before nor after the match. Rosanero then hired Guillermo Barros Schelotto as a new manager, even though he did not have the necessary paperwork to be registered as Palermo coach, so his position was taken by Primavera youth team coach Giovanni Bosi during a 4–1 win over Udinese. Schelotto was registered as a team manager during that match. Bosi's place as "official" manager was then taken over by Giovanni Tedesco, with Schelotto still awaiting for his paperwork. On 10 February 2016, following Schelotto's resignation after UEFA refusal to hand him a valid European coaching authorization, Palermo announced to have promoted Primavera youth coach Giovanni Bosi as new head coach, with Tedesco as his technical collaborator. Five days later, Bosi was sacked, and Iachini was re-appointed as manager. On 10 March, Iachini was sacked once again, as Walter Novellino was appointed as his replacement. Novellino was then sacked on 11 April. Davide Ballardini was rehired a day later for the ninth managerial change that season. On 15 May, Palermo escaped relegation on the last day of the league with the necessary win over Hellas Verona 3–2, securing 16th place. For the 2016–17 season, Zamparini re-appointed Rino Foschi as director of football; he however resigned after just a month in charge and was replaced by former Trapani director Daniele Faggiano. Most senior players such as Gilardino, Sorrentino, Vázquez and Maresca were sold and mostly replaced with Alessandro Diamanti plus a number of young and quasi-unknown foreign players. Ballardini, who was originally confirmed as head coach, left his position after a draw at Inter Milan at the second matchday of the season and was replaced with Serie A newbie Roberto De Zerbi. De Zerbi's stint as Palermo head coach ended in dismal as he was sacked following Coppa Italia elimination at home against Serie B team Spezia, and after seven league losses in a row, with former club captain Eugenio Corini taking over. This was followed by Faggiano's resignations; his role was not filled as Zamparini announced his intention to operate in the January 2017 transfer market with the support of a number of consultants of his, mostly Gianni Di Marzio, football agent Davor Ćurković and Dario Šimić (who was successively officially announced as part of the club non-coaching staff). After two more defeats against relegation battle opponents Empoli and Sassuolo, no major signing in the first half of January and eight points deep into relegation zone, Zamparini however decided to change his mind by appointing Nicola Salerno as new director of football. On 27 February 2017, Zamparini stepped down as chairman of Palermo after 15 years in charge, announcing he had agreed in principle to sell his controlling stake to an unspecified Anglo-American fund, led by Italian-American Paul Baccaglini who was named new club president on 6 March. Palermo ended the season in 19th place, being relegated to Serie B. The takeover, originally scheduled to be finalized by 30 April 2017 and then delayed by 30 June, eventually collapsed after Zamparini, who in the meantime had appointed Bruno Tedino as new head coach for the 2017–18 Serie B campaign, rejected the final offer he received from Baccaglini. On 4 July 2017, Baccaglini resigned as Palermo chairmen, falling back into the hands of Zamparini, after the necessary funds were not in place. Palermo's campaign in the 2017–18 Serie B aimed to an immediate promotion to the top flight, with Bruno Tedino as head coach and Fabio Lupo as director of football. The Rosanero ended the first half of the season in first place; however, a streak of negative results and disagreements between Lupo and Zamparini led to the former's dismissal and replacement with Aladino Valoti. As results did not improve, Tedino was ultimately dismissed as well and replaced by Roberto Stellone, who however failed on winning promotion, ending the regular season in fourth place and eventually losing the playoff finals to Frosinone. The club also experienced a number of administrative issues which led to Zamparini appointing Giovanni Giammarva, an administrative expert from Palermo, as new president. For the 2018–19 Serie B season, Palermo found themselves forced to sell a number of players due to financial issues, with Antonino La Gumina sold to Empoli for a reported fee of €9m and Igor Coronado to Sharjah FC for €6m. With Tedino reappointed as head coach, Zamparini also decided to rehire Rino Foschi as director of football for a third time, and Giammarva resigning from his chairman post on 8 August 2018. On 26 September 2018, Tedino was sacked for a second time, and again replaced by Stellone. On 24 October 2018, Raffaello Follieri's attempt to buy the club from Zamparini's hands collapsed. On 22 November, the club formally confirmed a takeover agreement between Zamparini and an undisclosed investor. 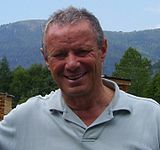 On 1 December, Zamparini confirmed the sale of the club to an unnamed London company for the "symbolic" price of €10 (£8.75). Global Futures Sports & Entertainment (GFSE) is working on behalf of a group of investors, were formally presented on 4 December 2018; under the new ownership, who also agreed to pay off the €22.8mln (£20.3mln) outstanding debt. The takeover was officially formalized on 29 December 2018, with English businessman Clive Richardson, head of the new group, being named as new club chairman. As time went on, it was revealed the club was in significant debt, with the new owners failing to invest any significant amount of money in the club. Following a January 2019 transfer session with no signings at all and tensions within the board, on 4 February 2019 Clive Richardson (president) and John Treacy (councillor) left the club with immediate effect, thus raising further doubts on the club's financial situation. On 14 February 2019, with an impending salary payment deadline approaching, it was announced Palermo was sold for a nominal fee to Daniela De Angeli (a long-time Zamparini associate, appointed as club's CEO) and director of football Rino Foschi, who became the new chairman, under the disposition to pave the way for a new major investor for the club. Palermo's historical first red-blue kit. The official badge as of 2004 is a pink/black escutcheon with an eagle poised for flight within it, and the official club denomination "U.S. Città di Palermo" in capital letters on the top. The eagle represents the city of Palermo, as it is also part of the city's official coat of arms. Palermo originally played with red and blue as its official colours since its foundation in 1898, but decided to switch to the current choice of pink and black on 27 February 1907, contemporaneously with the change of denomination to Palermo FootBall Club. The colour choice was suggested by Count Giuseppe Airoldi, a prominent founding member of the club. In a letter Airoldi wrote on 2 February 1905 to English club councillor Joseph Whitaker, he defined pink and black poetically as "colours of the sad and the sweet", a choice he asserted to be a good fit for a team characterised by "results as up and down as a Swiss clock", noting also the fact that red and blue were a widely used choice of colours at the time. The club had to wait for the new jerseys for three months, because no pink flannel material was available in Palermo and the appointed tailoring company had to import it from England. The new shirts were first worn in a match against Sir Thomas Lipton's crew team; the match ended in a 2–1 win for Palermo. From 1936 to 1940, the team were forced to play in red and yellow jerseys due to an imposition by the fascist regime of Benito Mussolini (red and yellow being the official colours of the municipality of Palermo.) When the club was refounded in 1941 following a merger with Juventina Palermo, they started dressing in light blue shirts on the pitch, but switched back to the very popular pink and black only one year later. Palermo plays its home matches at Stadio Renzo Barbera, located in the Favorita neighbourhood. The stadium was opened in 1932, during the fascist regime, with the name Stadio Littorio (Lictorial Stadium). The inaugural match was played on 24 January 1932, against Atalanta; Palermo won it 5–1. In 1936, it was renamed Stadio Michele Marrone after a fascist hero who died in the Spanish Civil War. Initially a racetrack was present, and there were no curved sections, but only terraces and a stand. In 1948, following the end of World War II and the fall of the Fascist regime, the stadium assumed the denomination of Stadio La Favorita, after the neighbourhood where it was located, and was also heavily restructured, without racetrack and with two curved sections, thus increasing its capacity to 30,000. In 1984 it was again enlarged, giving a capacity of circa 50,000. This higher capacity was however completely sold out only twice, respectively in a Serie C1 league match against Messina and a friendly match against Juventus. On the occasion of the 1990 FIFA World Cup, the stadium was renovated with the addition of seats, but the capacity, which was reached on only two occasions before 1990, was reduced to 37,619. During the 1989 renovation works, five employees died following the collapse of a section of the stadium. In 2002 the stadium was renamed in honour of Renzo Barbera, legendary Palermo chairman in the 1970s. Plans to move the club to a new state-of-the-art stadium to be built were announced in 2007 by current Palermo chairman and owner Maurizio Zamparini; the new venue was expected to be built in the area of the Velodromo Paolo Borsellino (a smaller venue which also hosted some Palermo games in the past) in the ZEN neighbourhood of the city of Palermo. The majority of Palermo supporters come from the city and its neighbourhood. However, Palermo is also widely popular throughout Western Sicily, as well as among Sicilian immigrants in northern Italy, leading Palermo to have one of the largest followings in its away matches. Palermo supporters, mainly Sicilian emigrants, are also present outside Italy; a number of Palermo fans living in and around the German city of Solingen have even founded a club named after their favourite club, FC Rosaneri, which as of 2007 plays in the Kreisliga B league. Support for Palermo is closely associated with a strong sense of belonging to Sicily; indeed, it is not uncommon to see Sicilian flags waved by fans and ultras during Palermo matches. Palermo fans are also twinned with Lecce ultras. The latter was even more strengthened in recent times by the acquisition of Fabrizio Miccoli, who is originally from the outskirts of Lecce and a well-known supporter of the local team, who went on to become a key player and captain for the Sicilians. Miccoli was also the most prolific Palermo player, setting records for: most Serie A league goals (74, from 2007–2013), most goals in all competitions (81, from 2007–2013) and most Serie A league appearances (165, from 2007–2013). Palermo's biggest rivals are fellow islanders Catania. Matches between Palermo and Catania are usually referred to as Sicilian derbies, despite the existence of a third valid Sicilian team, Messina, who played in Serie A alongside Palermo and Catania in recent years. Rivalry with Messina, although historically older, is instead less intense than that with Catania. The 2006–07 return match between Palermo and Catania, played on 2 February 2007 at Stadio Angelo Massimino, Catania, is remembered due to the death of policeman Filippo Raciti who was injured during riots between the local police and the Catania supporters. This event led Italian Federation commissioner Luca Pancalli to suspend all football leagues and national team events in the whole country for a couple of weeks. According to a survey of 2008, the team has about 1.47 million fans in Italy, ranking within the top ten of the Italian teams with the most fans. Memorable was the trip to Rome for the Coppa Italia final on 29 May 2011 against Inter, which Palermo lost 3–1. According to statistical data, it was estimated that there were 45,000–50,000 fans from Palermo, many more than the Nerazzurri fans present. On 13 July 2012, Palermo fans were recognised as the fairest in the 2011–12 season, winning the Fair Play Trophy "Gaetano Scirea" established by the Council of the Serie A. For a list of footballers, see List of U.S. Città di Palermo players. For a list of all former and current Palermo players with a Wikipedia article, see Category:U.S. Città di Palermo players. ^ a b "Renzo Barbera" (in Italian). PalermoCalcio.it. Archived from the original on 23 April 2011. Retrieved 4 May 2011. ^ a b "Oltre un secolo di storia da via Notarbartolo alla A" (PDF) (in Italian). La Repubblica Palermo. Archived from the original (PDF) on 30 June 2007. Retrieved 4 May 2007. ^ a b Il Palermo – Una storia di cento anni (in Italian). ^ "Storia" (in Italian). U.S. Città di Palermo. Archived from the original on 29 April 2007. Retrieved 4 May 2007. ^ "Messina Football Club 1901" (in Italian). Messina Story. Retrieved 4 May 2007. ^ "Records fall for plucky Palermo". FIFA.com. 8 November 2006. Retrieved 15 June 2007. ^ "Lipton Challenge Cup". RSSSF. Retrieved 16 June 2007. ^ "105 anni di storia rosanero" (in Italian). Palermo Rosanero. Archived from the original on 3 May 2007. Retrieved 4 May 2007. ^ "Città di Palermo Unione Sportiva". RSSSF. Retrieved 16 June 2007. ^ "Albo d'oro rosanero – Tutti i campionati della storia" (in Italian). Aquile Rosanero. Retrieved 16 June 2007. ^ "Aneddoti e curiosità d'una sfida lunga 77 anni" (in Italian). CalcioCatania.net. Archived from the original on 28 September 2007. Retrieved 16 June 2007. ^ a b c d "I primi 60 anni: dalla prima Serie A alla morte del principe Raimondo Lanza" (in Italian). Cuore Rosanero. Archived from the original on 6 October 2007. Retrieved 16 June 2007. ^ a b "Archivio biografico comunale: Beppe Agnello" (PDF) (in Italian). Comune di Palermo. Archived from the original (PDF) on 1 April 2007. Retrieved 16 June 2007. ^ "I personaggi più rappresentativi nella storia" (in Italian). Cuore Rosanero. Archived from the original on 29 July 2012. Retrieved 16 June 2007. ^ "Argentine players in Italy". RSSSF. Archived from the original on 14 May 2007. Retrieved 16 June 2007. ^ "Squadre : Palermo" (in Italian). Er Lupacchiotto. Retrieved 16 June 2007. ^ Fabio Maccheroni (4 March 2000). "D' Antoni presidente del Palermo comprato da Sensi e soci". Corriere della Sera (in Italian). Retrieved 2 April 2010. ^ "Sensi-Zamparini: affare fatto" (in Italian). RAI Sport. 21 July 2002. Archived from the original on 16 November 2007. Retrieved 16 June 2007. ^ "Another kicking for southern Italy's football". Financial Times. Retrieved 4 May 2007. ^ "Palermo sack Colantuono". Football Italia. 26 November 2007. Archived from the original on 27 February 2003. Retrieved 26 November 2007. ^ "Guidolin fired by Palermo for the fourth time". AFP. 24 March 2008. Archived from the original on 8 January 2009. Retrieved 25 March 2008. ^ "Palermo, via Colantuono Ballardini nuovo allenatore" (in Italian). Gazzetta.it. 4 September 2008. Retrieved 4 September 2008. ^ "Palermo, notte magica Primo scudetto Primavera" (in Italian). La Gazzetta dello Sport. 8 June 2009. Retrieved 9 June 2009. ^ "Zenga, l'uomo nuovo per un EuroPalermo" (in Italian). La Gazzetta dello Sport. 5 June 2009. Retrieved 5 June 2009. ^ "Walter Zenga sollevato dall'incarico" (in Italian). US Città di Palermo. 23 November 2009. Retrieved 23 November 2009. ^ "Delio Rossi è l'allenatore del Palermo" (in Italian). US Città di Palermo. 23 November 2009. Retrieved 23 November 2009. ^ "E' MUTTI IL NUOVO ALLENATORE" [MUTTI IS NEW HEAD COACH] (in Italian). US Città di Palermo. 19 December 2011. Retrieved 19 December 2011. ^ "È GATTUSO IL NUOVO ALLENATORE, VENERDÌ LA PRESENTAZIONE" [GATTUSO THE NEW MANAGER, PRESENTATION ON FRIDAY] (in Italian). U.S. Città di Palermo. 19 June 2013. Retrieved 25 June 2013. ^ "Palermo: Iachini out, Ballardini in - Football Italia". www.football-italia.net. ^ "Official: Palermo-Ballardini termination - Football Italia". www.football-italia.net. ^ "Sorrentino: 'War with Ballardini' - Football Italia". www.football-italia.net. ^ "Palermo await Schelotto clearance - Football Italia". www.football-italia.net. ^ "Tedesco is new Palermo Coach - Football Italia". www.football-italia.net. ^ "COMUNICATO DEL PRESIDENTE" (in Italian). US Città di Palermo. 10 February 2016. Retrieved 10 February 2016. ^ "Palermo bring back Beppe Iachini in seventh managerial change". ^ "Official: Palermo appoint Novellino - Football Italia". www.football-italia.net. ^ "Novellino: 'Palermo have sacked me' - Football Italia". www.football-italia.net. ^ "Zamp: 'Ballardini even in B' - Football Italia". www.football-italia.net. ^ "Wk38: Palermo squeeze to safety". Football Italia. 15 May 2016. Retrieved 15 May 2016. ^ "Back to chaos: Palermo swaps managers 2 matches into new season". The Score. 6 September 2016. Retrieved 20 January 2017. ^ "Football – Eugenio Corini takes charge after Roberto De Zerbi sacked by Palermo". Yahoo! Sports UK. 30 November 2016. Archived from the original on 2 February 2017. Retrieved 20 January 2017. ^ "Maurizio Zamparini: Palermo president to step down after 15 years". BBC Sport. 27 February 2017. Retrieved 1 March 2017. ^ "Official: Palermo have new president". Football Italia. 6 March 2017. Retrieved 7 March 2017. ^ "Zamparini: 'No Palermo takeover'". Football Italia. 1 July 2017. Retrieved 1 July 2017. ^ "Baccaglini resigns as Palermo President - Football Italia". www.football-italia.net. ^ "STATEMENT FROM MAURIZIO ZAMPARINI". US Città di Palermo. 24 October 2018. Retrieved 28 October 2018. ^ "FINANCIAL INNOVATIONS TEAM STATEMENT". US Città di Palermo. 22 November 2018. Retrieved 24 November 2018. ^ "Palermo: Maurizio Zamparini sells Serie B side to London company". BBC Sport. Retrieved 2 December 2018. ^ "CLUB STATEMENT". US Città di Palermo. 29 December 2018. Retrieved 30 December 2018. ^ "CLUB STATEMENT". US Città di Palermo. 5 February 2019. Retrieved 7 February 2019. ^ "CLUB STATEMENT". US Città di Palermo. 14 February 2019. Retrieved 15 February 2019. ^ a b c "Palermo, 100 anni di rosanero" (in Italian). Gazzetta dello Sport. Retrieved 4 May 2007. ^ "Palermo Shirt List". Alessio Candiloro. Archived from the original on 16 July 2007. Retrieved 14 June 2007. ^ a b c d e "Lo stadio Renzo Barbera" (in Italian). U.S. Città di Palermo. Archived from the original on 29 April 2007. Retrieved 4 May 2007. ^ "Si studia un impianto alla tedesca, il progetto è ancora in alto mare". L'Espresso. Archived from the original on 15 October 2007. Retrieved 4 May 2007. ^ "Cuori rosanero in terra tedesca" (PDF) (in Italian). Provincia di Palermo. Archived from the original (PDF) on 30 June 2007. Retrieved 4 May 2007. ^ "Kreisliga B, Gruppe 2, Saison 2006/07" (in German). ESV Opladen. Archived from the original on 29 September 2007. Retrieved 4 May 2007. ^ "Lecce: l'8 agosto sfida con il Palermo" (in Italian). Yahoo! Italia Sport. Archived from the original on 19 September 2007. Retrieved 4 May 2007. ^ "First Team Squad". U.S. Città di Palermo. Retrieved 28 August 2018. ^ "Coaching Staff". U.S. Città di Palermo. Retrieved 28 January 2019. ^ "UEFA Europa League 2005–06". UEFA. Retrieved 28 August 2017. ^ "UEFA Europa League 2006–07". UEFA. Retrieved 28 August 2017. ^ "UEFA Europa League 2007–08". UEFA. Retrieved 28 August 2017. ^ "UEFA Europa League 2010–11". UEFA. Retrieved 28 August 2017. ^ "UEFA Europa League 2011–12". UEFA. Retrieved 28 August 2017. 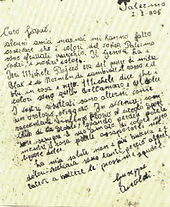 Giordano, Giovanni; Brandaleone, Carlo (1982). Calcio Palermo: gli ottantaquattro anni di storia della societa rosanero (in Italian). Palermo: Giada. p. 432. ISBN 88-8207-144-8. Ginex, Roberto; Gueli, Roberto (1996). Breve storia del grande Palermo (in Italian). Rome: Newton. p. 66. ISBN 88-8183-361-1. Wikimedia Commons has media related to U.S. Città di Palermo.